Ascent Health Inc., founded in 2012 as Wraparound Services, is a non-profit mental health service provider that has been part of Louisiana’s System-of-Care (SOC) movement almost since it began. Ascent serves as the Wraparound provider in Northeastern Louisiana, and more recently in Southern Louisiana. 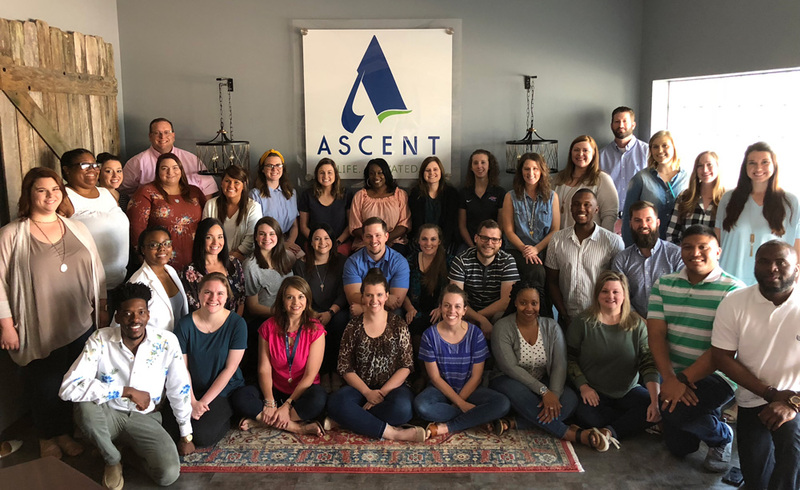 Ascent has expanded to the Memphis, Tennessee area to provide services to children, adolescents and adults who deal with complex social, behavioral, or mental health issues. From its offices in Monroe and Houma Louisiana, Ascent serves about 750 families at any given time, and more than 613 families in a typical year. Ascent’s 73 Wraparound Facilitators (Care Coordinators) typically work with up to ten families each at a time. Ascent’s service area covers 7,000 square miles of rural Louisiana. This can mean Ascent’s Wraparound Facilitators frequently travel long distances, sometimes on gravel roads, to reach their families. When they return to the office, Eberts strives to make sure the work environment is a comfortable and supportive sanctuary for staff, so they feel valued for the work they do. One of the ways Ascent supports its staff is through continued investment in workforce development. The National Wraparound Implementation Center (NWIC) provides ongoing training, coaching and technical assistance to Ascent to support quality and fidelity Wraparound implementation and practice. Ascent emphasizes the intrinsic value in every person. By approaching families with this in mind, their Wraparound Facilitators can help families achieve positive changes. These positive changes send ripples out in the community and as a result, many of Ascent’s referrals come from friends and relatives of families who have transitioned out of care.